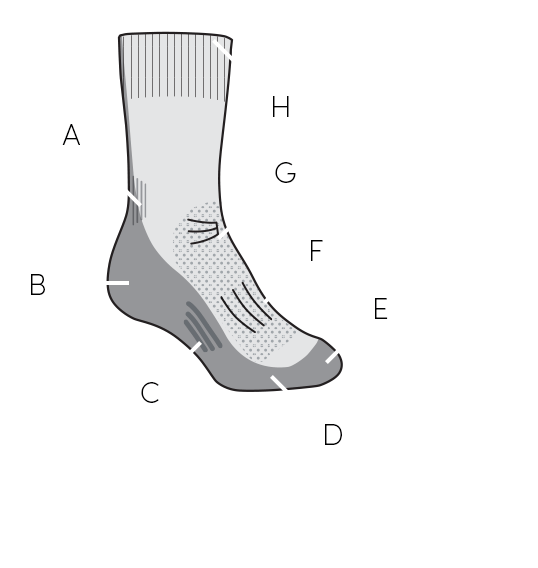 A lightweight hiking sock for long or short days on the trail, the Hike Light Crew Mountain Stripe offers enhanced strength and support to go the distance with you. Double-up cushioning in the heel and a reinforced heel and toe offer comfort and durability, strategic support zones help with fit and stability, and the seamless design keeps blisters at bay. Made in a soft blend of merino with nylon and a touch of LYCRA®, with a breathe zone for added ventilation, these socks will help your feet feel cool and dry for longer. The contemporary graphic evokes mountain adventures.